With a celebratory engagement with life on all levels, Sadhguru's areas of active involvement encompass fields as diverse as architecture and visual design, poetry and painting, ecology and horticulture, sports and music. He is the author and designer of several unique buildings and consecrated spaces at the Isha Yoga Center, which have wide attention for their combination of intense sacred power with strikingly innovative eco-friendly aesthetics. Listeners have been ubiquitously impressed by his astute and incisive grasp of current issues and world affairs, as well as his unerringly scientific approach to the question of human wellbeing. 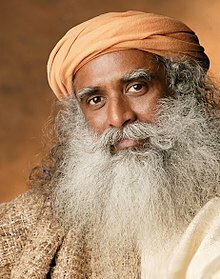 Sadhguru is also the founder of Isha Foundation, a non-profit organization dedicated to the wellbeing of the individual and the world.